This range was to epitomise style, class, traditional – to create an uplifting space the moment you enter the room. 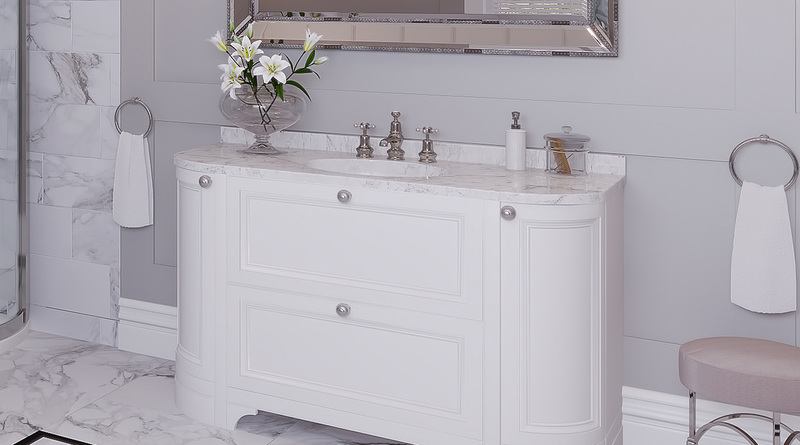 Bathrooms and the vast number of styles have come and gone over the years however, some styles are timeless. Our designers spent months going through all the furniture in market and creating room after room they finally settled on the items that we have shown. Comfort, elegance, durability and modern engineering are part of the traditional look that we have created. 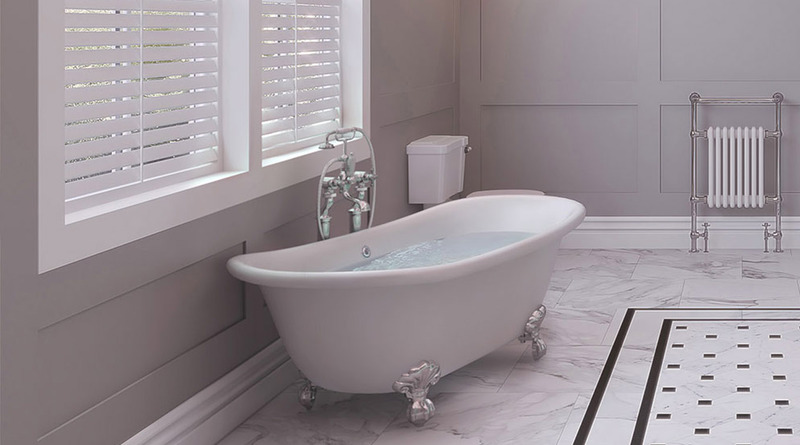 1x White Free-Standing Bath with soft roll top edges and chrome ‘claw’ feet – the bath looks magnificent as a feature and a centre piece to the bathroom – it is double ended with taps that can either go at the side or the end. 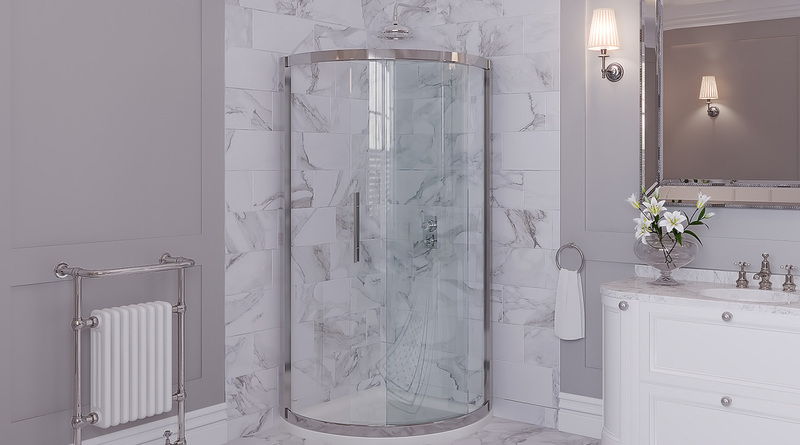 It is accompanied by a shower mixer that sits on a ‘telephone hand-set’ rest, which can pivot out of the way so as not to intrude on the experience. 1x Floor Standing Unit 1300mm x 550mm with Carrara marble top surface with integrated seamless basin. 3 hole basin mixer with splash back. 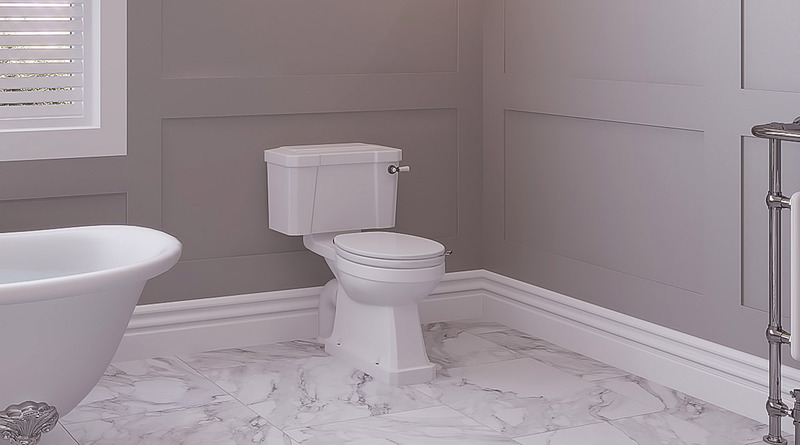 The surface compliments the traditional look of the Kensington range. Underneath is located storage of 2 doors and x2 drawers. 1x Corner Shower Unit with side access with complimentary handles. The traditional shower valve has cross head handles that functions the over head rose shower for a wondrous experience. 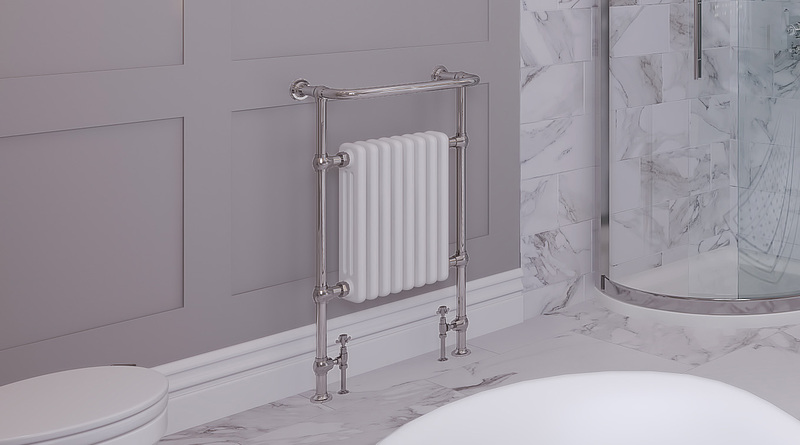 1x Floor standing Heated Towel Rail with white radiator and chrome rails. This unit has high output of 3500 btu. Double ended freestanding bath with claw feet and freestanding bath shower mixer with decorative upstand shrouds. 910mm curved enclosure, 910mm stone resin ABS tray and waste to suit enclosure. 1340mm x 550mm curved vanity unit, white minerva worktop and integrated basin and splashback, 3 tap hole basin tap set with pop up waste.